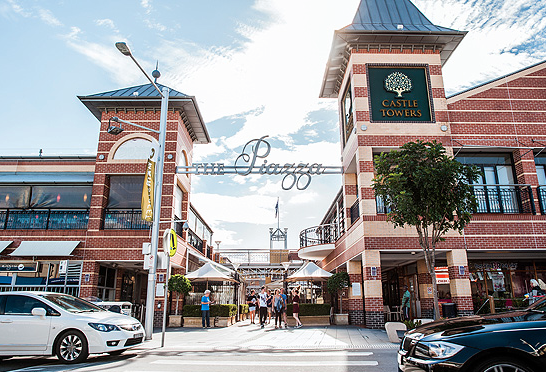 Investors are pouring money into local shopping centres at an unprecedented rate, with sales of retail assets across Australia up 180% on the five-year average. More than $4 billion was spent on neighbourhood and sub-regional retail centres in the 12 months to June, according to Savills Australia research. Trust, funds and syndicates snared the majority of those shops, with purchases totalling more than $3 billion and yields being driven down to pre-GFC lows. Savills national head of research Tony Crabb says institutional investors are preying on neighbourhood shopping centres, and accounted for more than two thirds of deals during the last financial year. “Neighbourhood shopping centre transactions totalled $2.5 billion in the 12 months, up a staggering 180% on the $886 million recorded in the previous year and similarly up on the five-year average of $895 million,” Crabb says. “At $2.1 billion, sub-regional sales were also up, albeit a mere 17 per cent on the $1.8 billion of recorded sales in the previous year, but almost double the five-year average of $1.1 billion." The booming demand for sub-regional and neighbourhood shopping centres has seen landlords cash in, with shops bought just a few years ago at yields of around 9% now being sold at around 6%. Savills national director of retail investments, Steven Lerche, says a lack of buying opportunities in regional centres had pushed investors further out. “This has been an extraordinary period of activity culminating in what has been a record year of turnover with institutions needing to spend but unable to purchase regional assets in a very tightly held market, scouring the country for sub-regional centres,” Crabb says. “Why wouldn’t you take advantage of such a market? The issue that they do face is what to do with the proceeds,” Lerche says.